The Special Meeting of the PABSEC Standing Committee, dedicated to the celebration of the 25th Anniversary of the establishment of the Assembly, took place in Istanbul, on 1 March 2018. The meeting was attended by the parliamentary delegations of Albania, Armenia, Azerbaijan, Bulgaria, Greece, Georgia, Moldova, Romania, Serbia, Turkey and by the PABSEC Special Representative to the Silk Road Project, PABSEC Special Representative to the European Parliament and European Institutions, PABSEC Special Representative to the Global Organization of Parliamentarians against Corruption (GOPAC) and PABSEC Special Representative in the International Organizations on Science and Education. The Deputy Secretary General of the Permanent International Secretariat of the Organisation of the Black Sea Economic Cooperation (BSEC PERMIS), the President of the Black Sea Trade and Development Bank (BSTDB) and the President of the Bulgarian Academy of Science (BAS) participated in the meeting. The Meeting was chaired by Mr. Ramazan Can, PABSEC Vice-President in charge of Financial Matters and Head of the PABSEC Turkish Delegation. Heads of the national delegations delivered their statements, concentrating on the efforts which have been made in order to enhance the multilateral economic cooperation in the Black Sea Region, during the twenty-five years of successful cooperation. 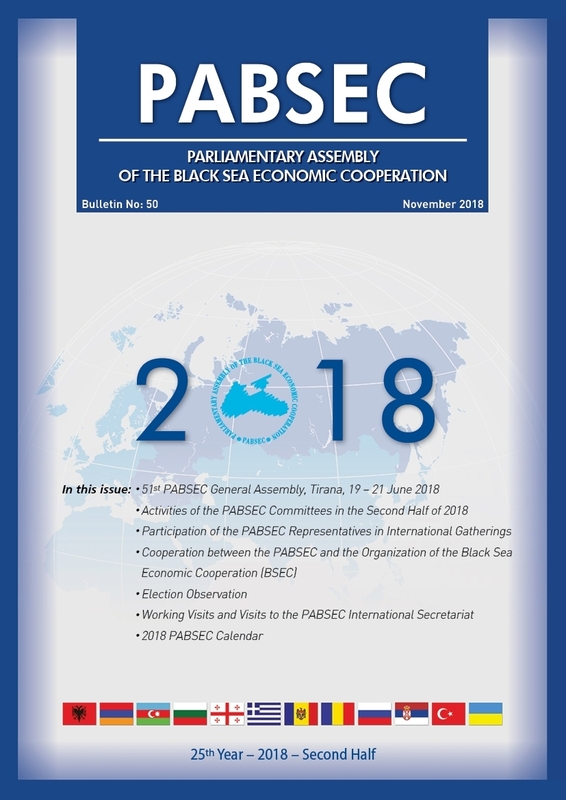 It was emphasized that the PABSEC has been recognized as an important regional forum for international cooperation and effective parliamentary dialogue in the BSEC Region and the Assembly has asserted itself as a successful model for balancing and harmonising, at parliamentary level, the relations and the different interests of the countries. The participants noted that the 25th Anniversary of the establishment of the PABSEC represents the unique opportunity for its Member States to maximize the economic potential of the region, thus achieving the desired social welfare of citizens in this area. It was underlined that the past quarter century has witnessed the new faster pace of parliamentary cooperation achieved by joint efforts of the national parliaments, in order to pursue important objectives, such as: to ensure understanding among our peoples and shared ideals and goals of the Black Sea Economic Cooperation; to provide a legal basis for our collaboration; to adopt the necessary legislation for implementing the decisions taken by the Heads of States and Governments; to provide assistance to the national parliaments aiming at strengthening parliamentary democracy; to promote cooperation with other international and regional organisations. The participants expressed their belief that it is necessary for the organization to grow into a more efficient instrument for addressing priority tasks to have the necessary resources and means for implementing decisions and recommendations. On the occasion of the 25th PABSEC Anniversary, Mr. Julian Revalski, President of the Bulgarian Academy of Sciences, informed the participants about the idea to organize the Conference of the Presidents of Academy of Sciences of the BSEC Member States. He noted that the PABSEC recognizes the importance of the dialogue among cultures as one of the main tools to build trust among peoples of the BSEC Region. In the course of the meeting, Mr. Hajiyev informed the gathering about the current and forthcoming activities of the PABSEC, focusing on the Conference of the Presidents of Parliaments of the PABSEC Member States that will be organised on the occasion of the 25th Anniversary of the Assembly, which will be held on 15 May 2018, in Istanbul. 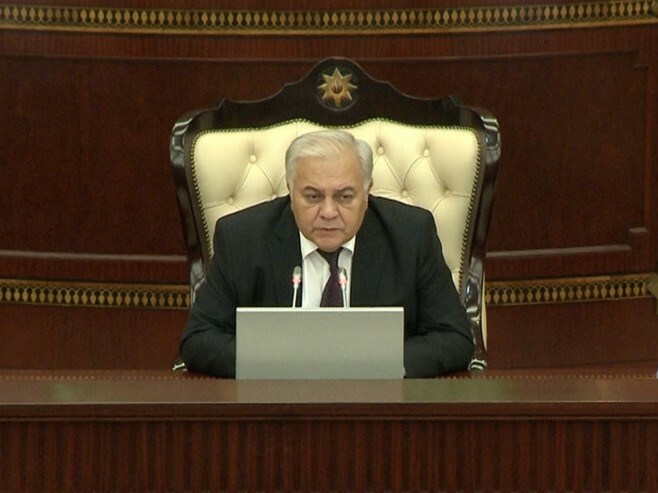 Mr. Hajiyev also informed on the regulation concerning the Medal of Honor of the Parliamentary Assembly of the Black Sea Economic Cooperation, which represents the highest form of encouragement for the citizens and organizations of the BSEC Member States, being awarded for an outstanding contribution to the activities of the Assembly.